The capital of Iceland is a young, culturally happening city, as well as a launch pad for natural wonders that people dream of seeing their whole lives. Like any cool spot Reykjavík is also constantly reinventing itself, as you can see at the Grandi Area by the Old Harbour. Here fish packing factories have been turned into sharply designed visitor attractions, while creative murals coat the walls and cutting-edge Nordic restaurants have opened. The waterfront was chosen for the cultural venue, Harpa, a monument for 21st-century Reykjavík with a mesmerising facade by Ólafur Elíasson. 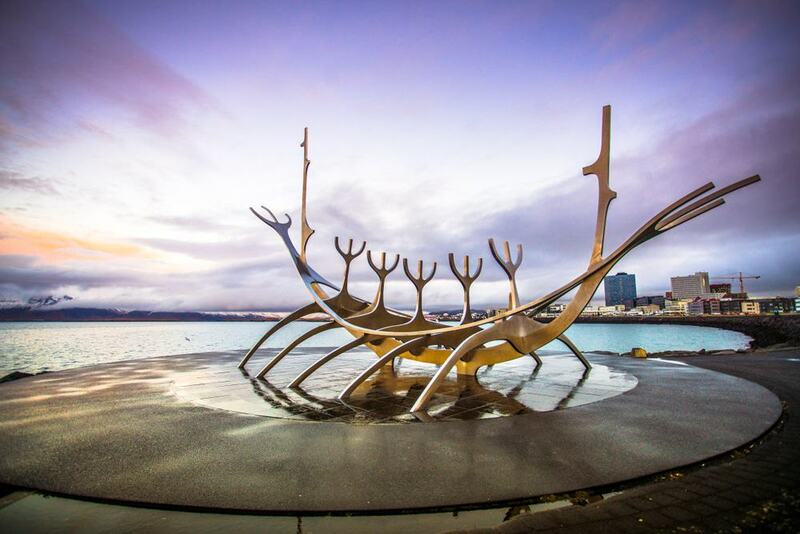 You could stay in Reykjavík’s cosy embrace or stride out to visit the volcanic marvels in the Golden Circle and see whales in the Faxa Bay in summer. Both a parish church and Iceland’s national sanctuary, Hallgrímskirkja is an ever-present feature of Reykjavík’s skyline. 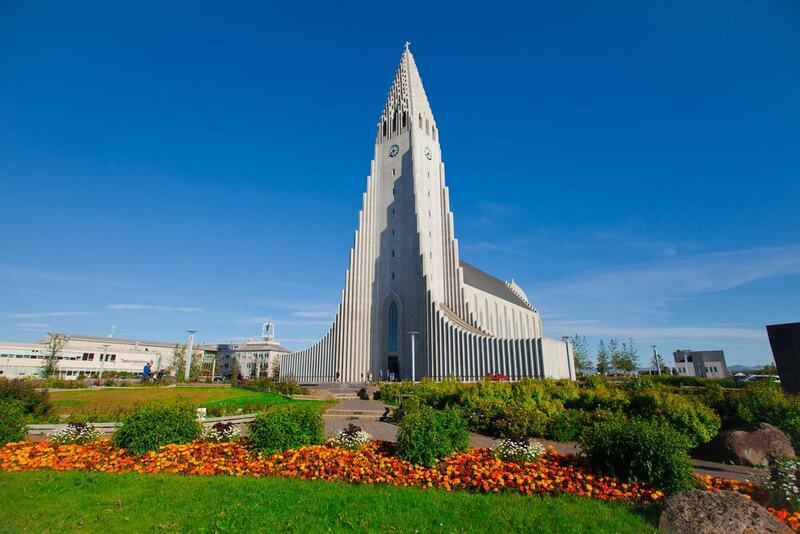 Conceived in the early-1940s by Guðjón Samúelsson, the church was 41 years in the making and was finally consecrated in 1986. Flanking the 74.5-metre tower are cascading columns intended to evoke Iceland’s basalt landscapes, all giving the impression of a rocket taking off. Just in front is a statue of Leif Eriksson, the Norse explorer credited as the first European to set foot on American soil at the turn of the 11th century. One of the things to see inside is a colossal 15-metre high and 25-ton organ by the German master Johannes Klais. For ISK 1000 you can also ascend the tower for satisfying vistas of the capital. To get up to speed on Iceland’s 1,200 years of human history there’s only one place to go. The National Museum of Iceland has a collection assembled since 1863 and moved to its current, rather nondescript building in 1950. This gives no hint of the marvels that are in store inside, laid out over two floors. The most treasured artefact is the Valþjófsstaður door from the early 13th century. The relief in the pine wood echoes the story of Yvain, the Knight of the Lion, a Medieval Arthurian romance. This is one of many fascinating artefacts in the permanent Making of a Nation exhibition, which has over 2,000 objects and 1,000 photographs, beginning with a longboat and ending with a modern airport. 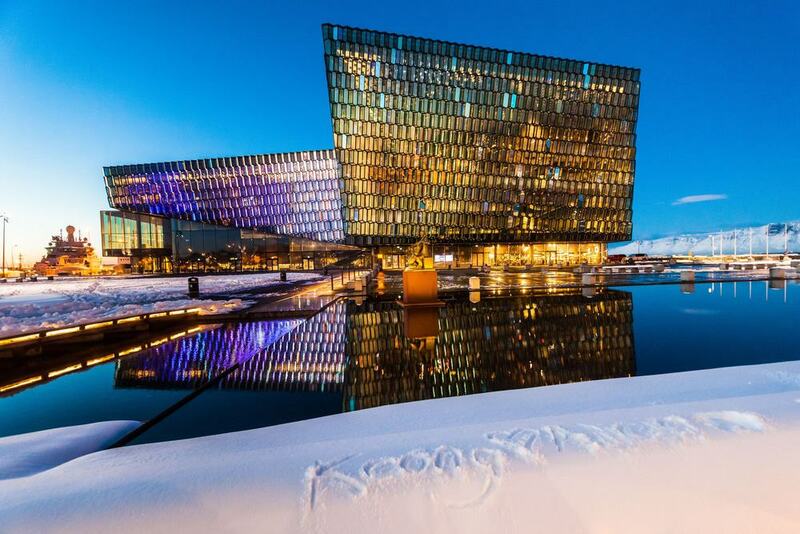 A dazzling modern landmark for Reykjavík, Harpa is the concert hall and conference centre on the water at the Old Harbour. The project was started in 2007 and completed in 2011 after a delay caused by the financial crisis. Harpa was designed by the Danish firm Henning Larsen Architects, and its otherworldly facade, inspired by Iceland’s famous basalt, was the work of Ólafur Elíasson. Harpa hosts the Icelandic Symphony Orchestra and Icelandic Opera, and has a busy calendar of festivals like the ultra-hip Sónar Reykjavík in March. On a typical day you can go in for the cafe, restaurant and shop, catch a free exhibition and watch the 15-minute 360° movie about Iceland’s natural wonders in the Iceland Expo Pavilion. 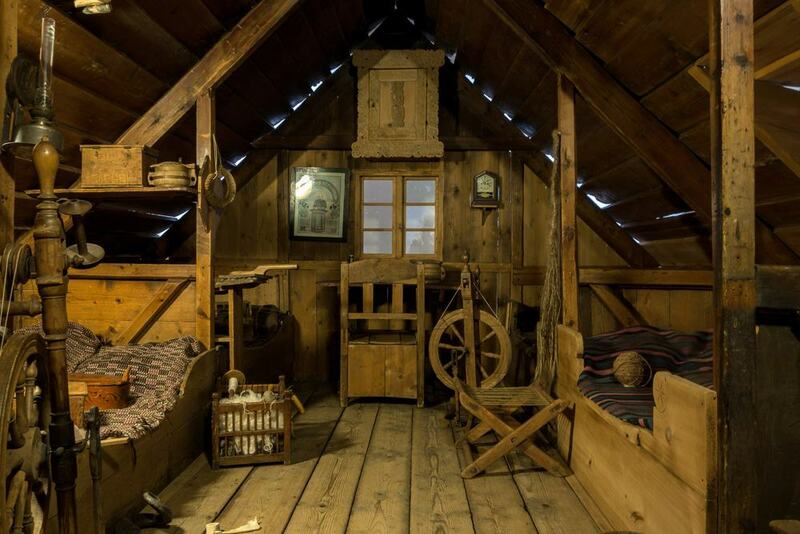 Reykjavík wouldn’t be a Nordic capital if it didn’t have a Skansen-style open-air museum shedding light on the customs, work and home life of previous generations. Árbæjarsafn was founded on an abandoned farm in 1957 to preserve a piece of old Reykjavík amid the intense construction taking place in the city at the time. The buildings at the museum are nearly all authentic, dating mostly to the 19th century. There’s a blacksmith’s house, a stable, a labourer’s cottage with an exhibition about life in the Great Depression, a general store, a drill used for gold mining and much more. The museum is open June to August, but has a special Christmas programme in December. An intriguing archaeological site on Aðalstræti in Reykjavík 101, the Settlement Exhibition has preserved the vestiges of one of Iceland’s oldest houses. This hall is from the Settlement Age, sometime in the 10th century, and the wall nearby is even older, dating before 871. These ruins can be dated so precisely because of an eruption in 870 at Torfajökull that left a fine layer of tephra as far as Greenland. There it was buried in layers of ice, which can be read as a sort of natural calendar. The ruins are accompanied by explanations of Viking building methods via models and interactive displays that also shed light on the lifestyle in the period. On the sides of the dig are excavated artefacts like axe heads, glass beads from as far away as India, as well as recreations of settlers’ beds and weapons, and the early Scandinavian Tafl board game. 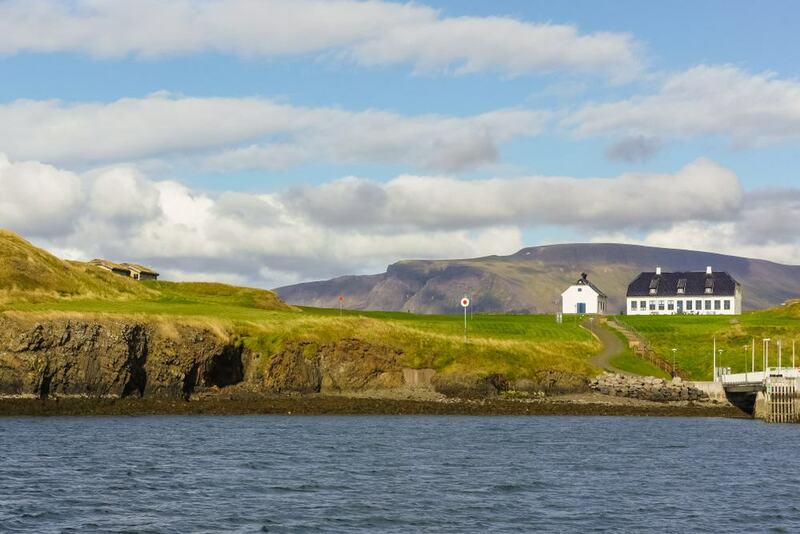 In the Kollfjörður almost within touching distance of the city’s waterfront is the small island of Viðey. The Elding ferry service has regular crossings to Viðey, unmissable for its historical architecture and modern culture. You can navigate the island’s trails on foot or by bike, on the hunt for one of the oldest churches in the country, and Viðey House, which was the first structure in Iceland to be built from stone. Against the island’s stark heathland are modern monuments like Yoko Ono’s Imagine Peace Tower light installation. Between October 9 (Lennon’s birthday) to December 8 (anniversary of his death), you can’t help but notice this luminous column from the mainland. From its drum-like stone base the beam rises as high as four kilometres on a clear night. Richard Serra’s environmental artwork, Milestones is on the west side of Viðey, comprising a series of basalt columns alluding to Iceland’s geology and topography. Built in 1947, this fish freezing factory at Reykjavík’s Old Harbour was converted into Reykjavík’s Maritime Museum in 2005. 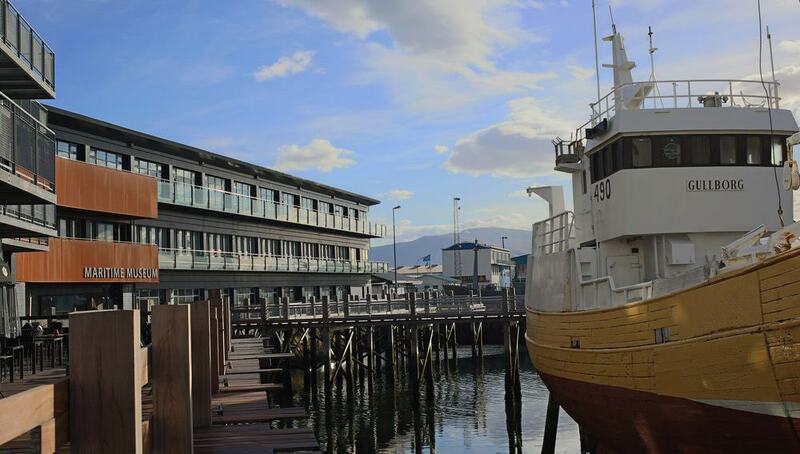 The old fish-processing hall has a superb exhibition about the history of sailing in Iceland, with a specially-constructed wooden pier that has seawater flowing beneath. You’ll access the pier via the reconstructed deck of the MV Gullfoss, a ferry operating between Iceland, Denmark and Scotland in the mid-20th century. The exhibition “From Poverty to Abundance” explains the transformative effect of technological advances on Iceland’s fishing industry in the 20th century. Docked outside is the ICGV Óðinn, a coast guard vessel that took part in all three “Cod Wars” between Iceland and the UK in the 1960s and 70s. On board you can find a trawl warp cutter, employed to destroy the nets of UK trawlers trespassing in Icelandic waters. Next door to the Maritime Museum in the Grandi area is a waxwork attraction that brings famous figures from Iceland’s history back to life. With the help of a multilingual audioguide, the museum recalls more than a millennium of Icelandic history. It details all the hardships like earthquakes, volcanic eruptions and disease that would have been suffered during the island’s settlement from the 9th century AD. What lifts the Saga Museum above a typical waxwork exhibition is the amount of skill and effort that has gone into each tableau. The clothes, weapons, furniture, tools and jewellery were all crafted using centuries-old techniques. 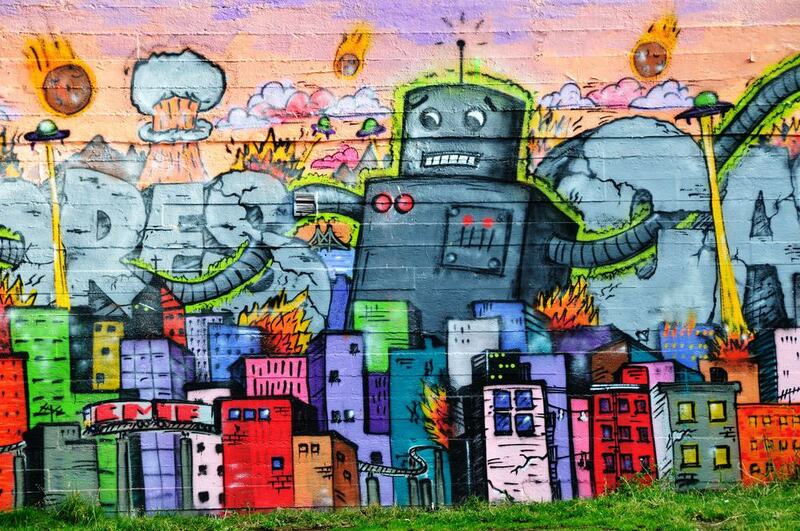 Cool as ever, Reykjavík has had a dynamic street art scene since at least the 1990s, but over the last few years it has taken on a new dimension. Show-stopping murals now adorn building facades around the Old Harbour and Grandi, the result of a collaboration between the Iceland Airwaves music festival and the Berlin-based Urban Nation art initiative. Titled “Wall Poetry”, these murals are either inspired by individual songs by the likes of Mercury Rev, John Grant or Gus Gus, or are genuine collaborations between the street artist and music artist. They hark back to a now lost time when visual art was integral to albums. Wall Poetry is also just the tip of the iceberg for commissioned street art, in Reykjavík and there are large-scale photorealistic works by Guido Van Helten and fanciful pieces by Sara Riel injecting wonder into the cityscape. Capping Öskjuhlíð hill, the Perlan building is one of Reykjavík’s instantly recognisable landmarks. Here in 1991 a set of six cylindrical hot water tanks were incorporated into an awesome new building, all topped with a reflective dome. The first museum inside opened in summer, and Perlan is rolling out new exhibitions and attractions into 2018. The showpiece is the ambitious Glaciers and Ice exhibition, where you’ll put on cold weather gear and make your way through a 100-metre ice cave, peering into its crevasses and learning about the millennia of volcanic ash in its walls. The floor above has an interactive trip through Iceland’s glaciers, with a 360° image of the world-famous Vatnajökull. On the fourth floor is an outdoor observation deck set up with telescopes and information panels, where you can see a glacier, the Atlantic, mountains and volcanoes. Reykjavík is at its most charming around this pond in the centre of the city. On Tjörnin’s green banks are painted houses, rows of trees, bushes and flowerbeds, all a restful scene for a walk in the warmer months or ice skating in winter. The north shore is home to the City Hall and a wry Monument to the Unknown Bureaucrat, by the sculptor Magnús Tómasson: The lower half is a man in a business suit holding a briefcase and the top half is a block of un-sculpted stone. 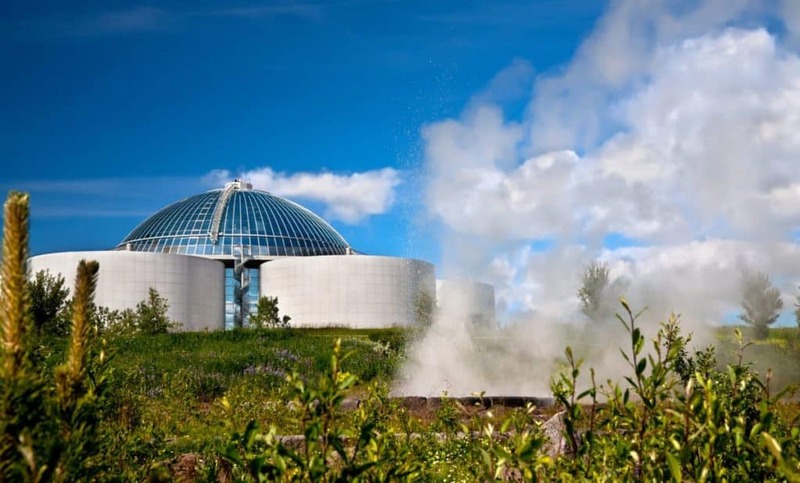 The pond is also a few steps from the Supreme Court, the Fríkirkjan í Reykjavík church, the National Theatre and a host of museums like the Living Art Museum, National Gallery of Iceland and the national Museum. 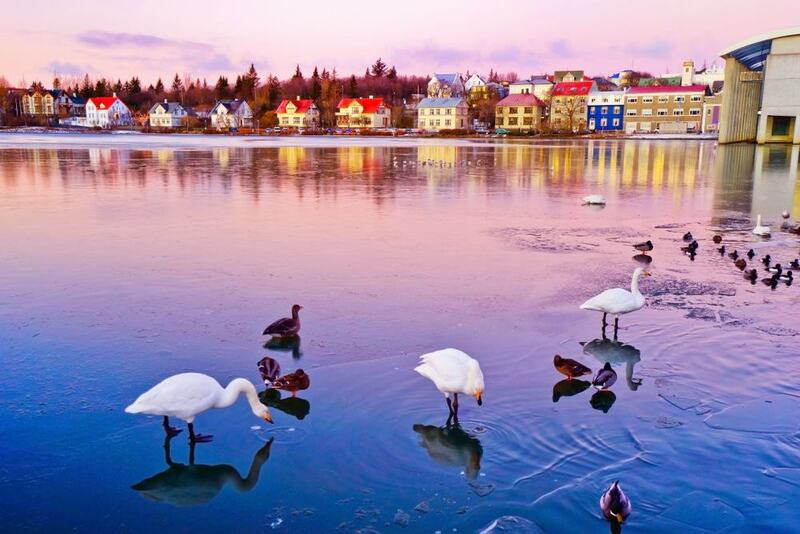 A quirk of Tjörnin is its resident flock of ducks, geese and swans, which remain all year round due to the slight geothermal warmth. Cold-water swimming sounds like a nightmare, but has been fixed in Iceland’s heritage since the settlement days 1,000 years ago. In 2001 a safe bathing spot was formed by building sea walls to form a lagoon just south of the airport and university. With beautiful golden sand, the Nauthólsvík Geothermal Beach is replenished by the sea and has its own geothermal waters, so its temperature is a few degrees higher than the open water. This can be a mild 19°C in summer. In winter, depending on the tide level, the lagoon can vary from just above freezing to 10°. If you’re brave enough to try, there’s a communal hot tub warmed by a vent and a steam room a few brisk strides away. 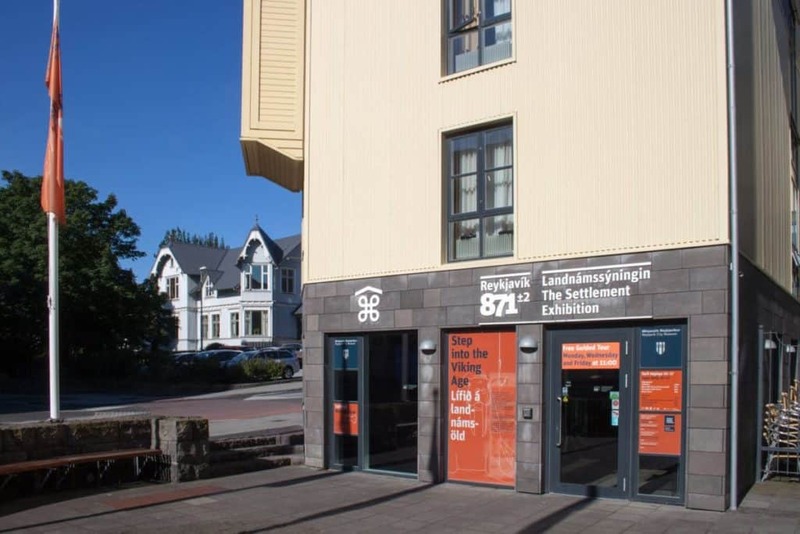 The largest of the three locations for the Reykjavík Art Museum, Hafnarhús is a former fishery office and warehouse on the harbour, and was repurposed as a gallery in 2000. Head here for avant-garde and experimental temporary exhibitions by the leading lights of the contemporary art scene. When this post was written in 2018 there were shows for contemporary art in Denmark, a precis of contemporary art in Iceland and an exhibition for the sculptor and installation artist Páll Haukur. Whenever you come there will be a permanent exhibition for the Icelandic Pop Artist Erró, who donated a big chunk of his oeuvre to the museum in 1989. Since Eyjafjallajökull erupted in 2010 and spewed ash into the atmosphere, Iceland’s volcanoes and seismic activity have gained international attention. 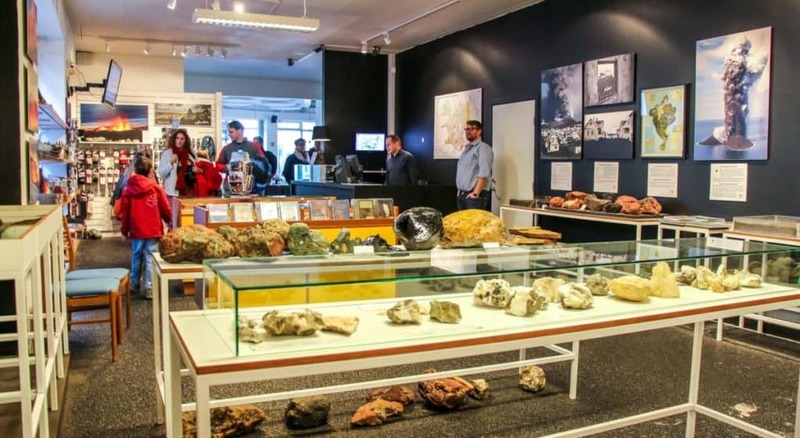 This attraction, open every day of the week from 09:00 to 22:00 has a free exhibition about Iceland’s exciting geology and volcanoes, with examples of ash, pumice, obsidian and lava from Eyjafjallajökull, Hekla and Grímsvötn. If you detect something retro about the interior design, that’s because it’s in style of 1973, the year of the Heimaey eruption off the south coast. Pay ISK 1990 and you can watch a well-made documentary about this event, and one about the Eyjafjallajökull and Fimmvörðuháls eruptions in 2010. This abstract stainless steel sculpture of a ship has become a favourite photo op since it was erected in 1990 to commemorate the city’s 200th anniversary. The work is on a small man-made headland off the Sæbraut road. Surprisingly, given the name, the ship points north, across the bay to the Esjan mountain, and it was originally intended to greet the sunset in the west of the city. The Sun Voyager’s designer was Jón Gunnar Árnason who was nearing the end of his life when he completed this contemplative work, and wouldn’t live to see it unveiled. If you had to make a list of acclaimed Icelandic artists, the 20th-century sculptor Einar Jónsson would be at or near the top. As modelling clay is rare in Iceland, Jónsson worked mostly in plaster, and because of its malleability was able to spend up to a decade on a single piece. of His art is infused with drama and depicts contemporary figures and historic and mythological Icelandic and Nordic heroes. Early in his career, in 1909, he did something extraordinary by donating all of his works to the Icelandic State providing a museum was built to house them. Jónsson chose the location, atop Skólavörðuhæð, and the design for the eye-catching Eclecticist building, which was completed in 1923. Jónsson had his studio and apartment here, and the space he used as a garden has since been decorated with bronze casts of his most famous works. 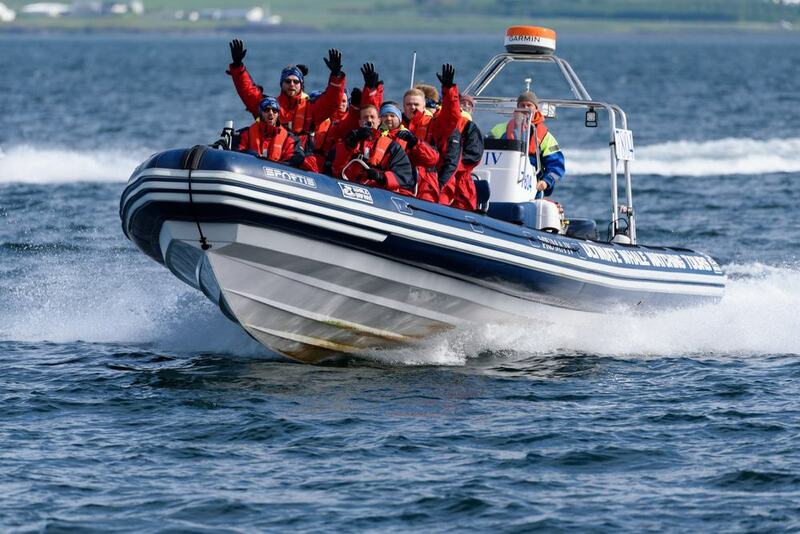 Added to the collection of family attractions that have sprouted in the harbour-side Grandi area, Whales of Iceland is all about the 23 cetacean species that inhabit the country’s seas. 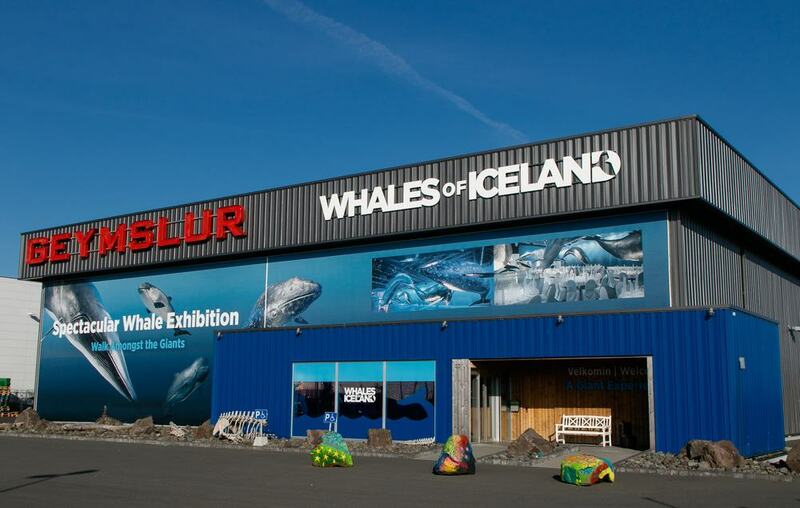 This museum is laid out with life-sized models in immersive environments with ambient lighting and sound, and is a collaboration between a whale watching company and the Marine Research Institute of Iceland. The models of the blue whale, sperm whale, humpback whale, fin whale, minke whale, orca and dolphin species are all impressive enough and paired with information about their behaviour and migration routes. But there’s a lot of technology in play, like an interactive station where you can track whales’ movements in real time. 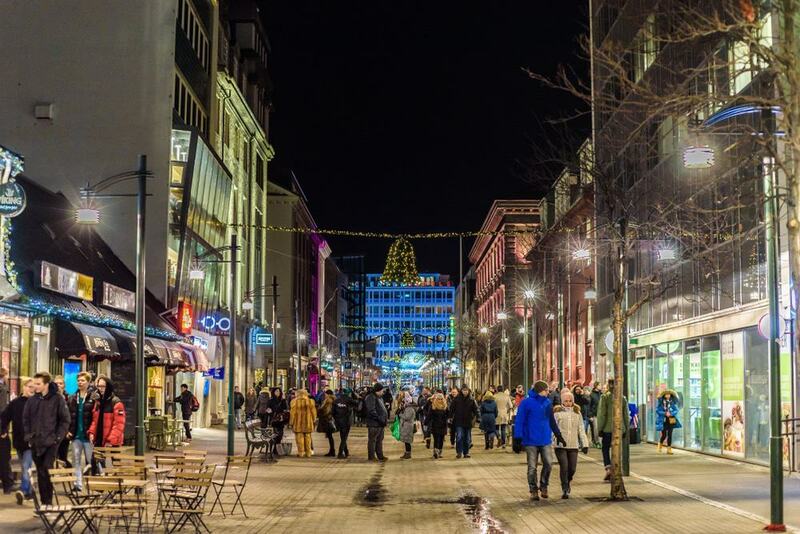 Reykjavík may be intimidating in its hipness, but the city’s bar scene is open and friendly, even in the depths of winter. Alcohol prices may be high, but for more than two decades now the city has been touted as one of the best places in the world to go out. The nightspots are confined to 101, in the city centre, and are nearly all intimate bars with special motifs and themes. There’s even a bar in homage to the Coen Brothers’ movie, the Big Lebowski. Many will have a stage for live music, and the only times you’ll have to pay a cover charge is when there’s a band playing. On Fridays and Saturdays Reykjavík’s bars stay open until 05:00, and the local way to go out is to get a round or two in one and then move on to the next. At Vatsmýrin, under 10 minutes on foot from the centre of Reykjavík, is the Nordic House, a cultural institution established in 1968 to support Iceland’s ties with other Nordic nations. Something that makes the Nordic House stand out is its design by the distinguished Finnish modernist architect Alvar Aalto. He saw his buildings as a Gesamtkunstwerk (all-encompassing art-form), and with his wife Elissa, took charge of the finest details like fittings, furniture and decoration. This is the case at the Nordic House, and at this stylish setting you can view exhibitions on Nordic design, browse Aalto’s wonderful library, check out the design shop and dine at the AALTO Bistro. The head chef here is Sveinn Kjartansson, a household name in Iceland. In a Nordic Modernist hall, Kjarvalsstaðir is another branch of the Reykjavík Art Museum and opened in 1973. 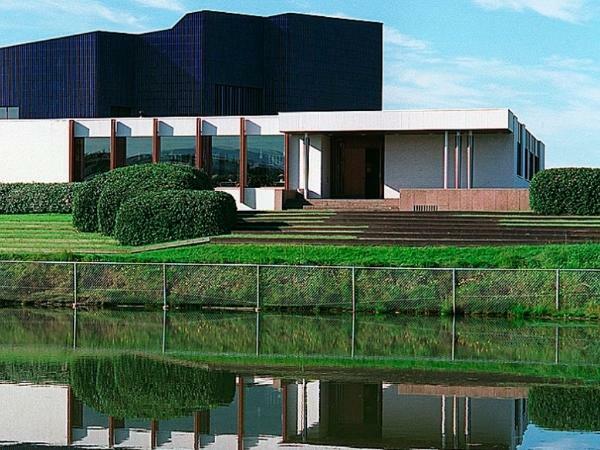 It was inaugurated the year after the death of one of the nation’s favourite painters, Jóhannes Sveinsson Kjarval, taking his name and housing a permanent exhibition of his work. Acclaimed for his landscapes Kjarval couldn’t be defined by one movement, but many of his paintings are grounded in Symbolism and he veered towards abstraction later in his career. Also on permanent show at Kjarvalsstaðir are pieces by Erró and the sculptor Ásmundur Sveinsson. Kjarvalsstaðir also stages up to 20 temporary exhibitions a year for established names in international modern and contemporary art. Aurora Reykjavík is an information centre on hand to help you experience the Northern Lights in all their beauty. The Aurora Borealis, caused by electronically charged particles from the sun colliding with the upper atmosphere, is visible around Reykjavík in the winter months. But chance plays a big role because above all else you’ll need a clear night. 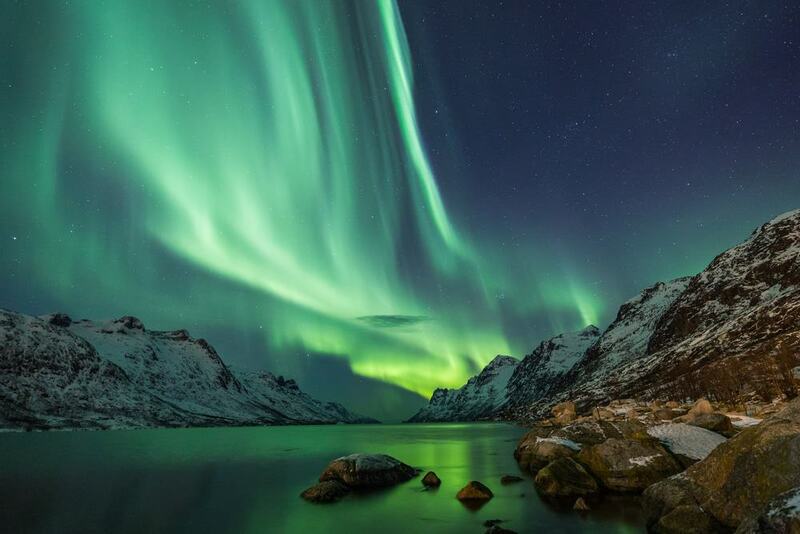 You could plan your holiday around the aurora forecasts that you can find online. Beyond this you’ll have to be clear of the city, to avoid light pollution, either on a boat, on the coast or out in the countryside. If everything goes your way and you’re in the right place you’ll be treated to one of the great natural spectacles, when swirling bands from pale green to pink, yellow and blue float across the sky. Three of Iceland’s most inspiring natural sights are on this 300-kilometre loop that takes you from Reykjavík into Iceland’s southern uplands. 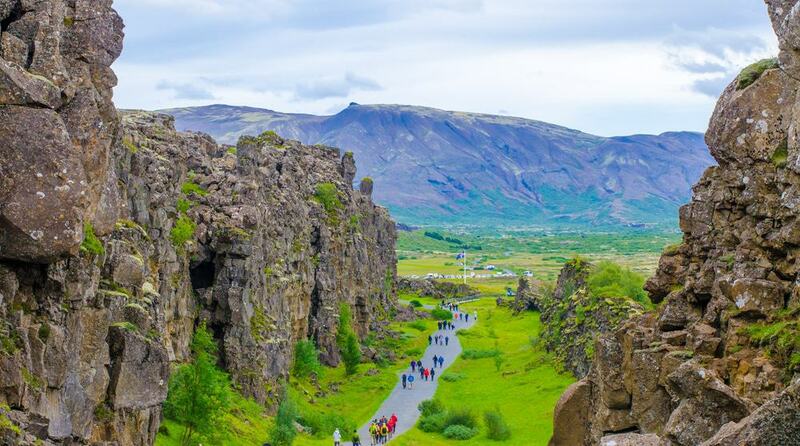 The first stop, just over an hour east of the city is the UNESCO-listed Þingvellir National Park, where there’s a canyon caused by the rift between the Eurasian and North American tectonic plates and the site of the Alþingi, the oldest parliament in the world, set up in 930. Gullfoss is a sensational double waterfall, 32 metres high, while the Haukadalur valley has host springs, mud pots and geysers like Strokkur, which erupts every 5-10 minutes. Guided tours tend to depart from Reykjavík at 08:00-10:00 and 12:00-14:00 and return by the evening. For more freedom you can rent your own car. Crowd-averse people can even leave at night in summer, and witness these sights lit by the midnight sun before camping in the Þingvellir National Park. For those with just a small window to experience Iceland’s scenery, this 914-metre basalt and tuff peak is only 10 kilometres from the city. Framing the city from the sea, Esjan can be done using public transport. Just catch the 15 from the Hlemmur bus terminal, and then at Háholt in Mosfellsbær change for the 57, which will deposit you at the hiking centre at the foot of the mountain. There are a few routes to the top or around the slopes and these are labelled for difficulty by a boot icon, ranging from one to three. In summer you’ll start off in green meadows dappled with purple wildflowers, but if you’re heading for the peak the last 200 metres are gruelling and for experts only. If you’re one of the few who does make it to the top, make sure to sign the guestbook. Reykjavík is one of the best places in Iceland to see whales, as the city is couched in the Faxa Bay, a gathering point for a wealth of species in summer. From April to September more than 20 species of cetaceans can be counted in the bay, but by far the most plentiful are the minke and humpback whales. Tours depart daily from the Old Harbour mostly on small vessels with a personal touch. Chances are high you’ll get to see a humpback or minke whale breaching, but there’s more to look out for: Most trips will take you past Akurey, which has a sizeable puffin population. The views back to Reykjavík and its mountainous backdrop from the bay are memorable, and seals, white-beaked dolphins and harbour porpoises may show up from time to time. The Icelandic horse is the only breed in the country, and is strictly regulated; it is forbidden to import any horses, and once an Icelandic horse has been exported it isn’t allowed to return. Recognised by its long, full mane and pony-like stature, this versatile breed is long-lived, suffers from few diseases and is used for racing, sheepherding and plain old fun. 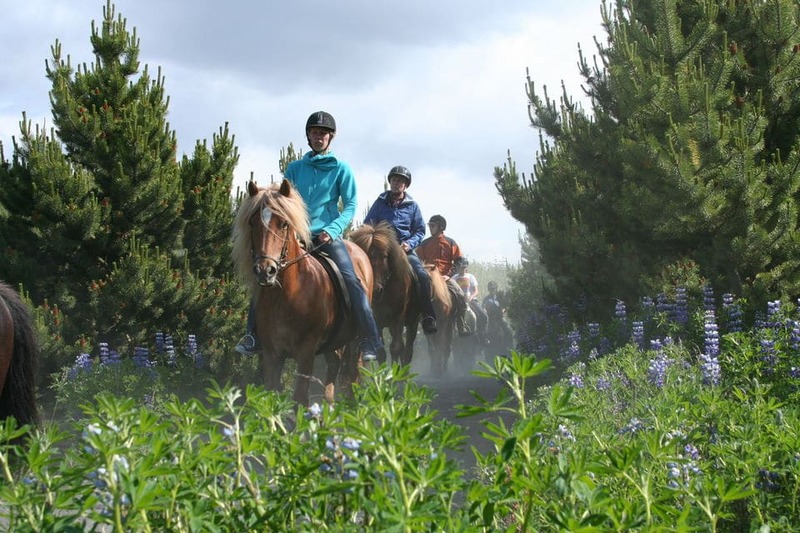 Horseback riding is of course more of a rural pursuit, but there are at least ten stables on the outskirts of Reykjavík offering one-off lessons, heathland hacks or multi-day adventures. 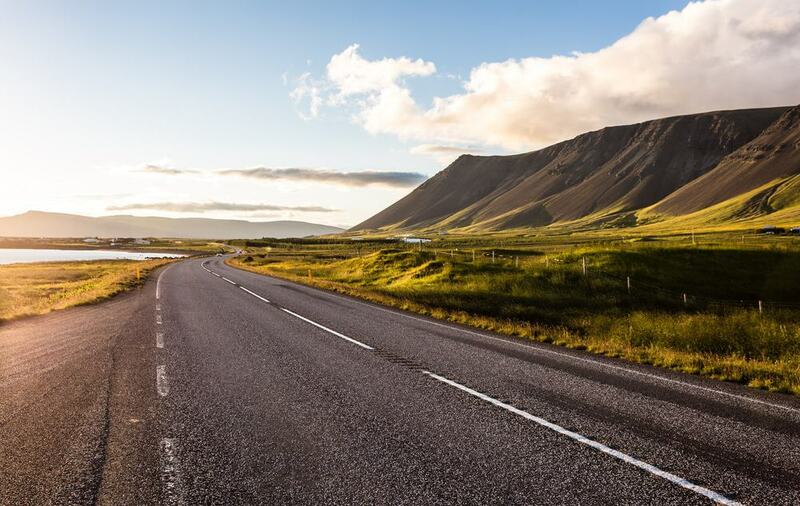 In the region, you could ride the Golden Circle, explore the stratovolcano Hekla or trek along the wild Snæfellsnes peninsula on the west coast. Viking Horses, Laxnes Horse Farm, Icelandic Riding and Ishestar Horse Riding Tours are just four of the companies nearby.